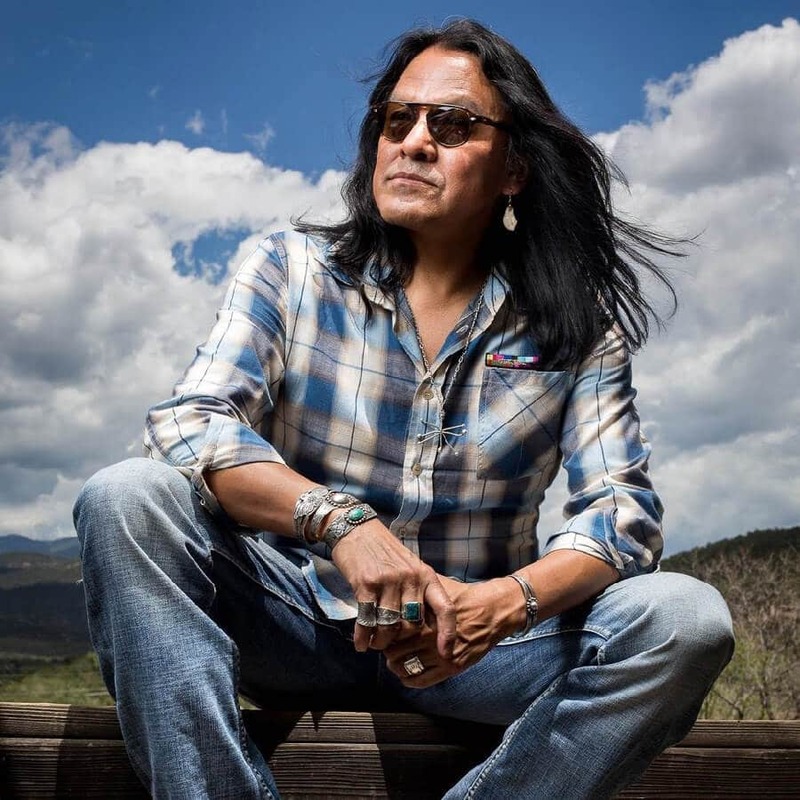 Join IAIA Museum of Contemporary Native Arts (MoCNA) exhibition artist Darren Vigil Gray (Jicarilla Apache/Kiowa Apache) for a special holiday event. Gray will discuss his art practice at 1:30 pm and perform with his band the Righteous Renegades, an experimental jam band, as they bring in the holidays with a bang at 3 pm—Don’t miss the fun! MoCNA exhibition Expanding Horizons: Darren Vigil Gray highlights new abstract landscapes which reflect a personal approach to the subject landscape. Gray’s spontaneous painting method is inspired by abstract expressionism and his inner self. Abstract elements found in nature, color relationships, as well as the physical properties of his oil paints play an important role in the creation process of his lush compositions. This event is free and open to the public. For more information, please contact IAIA Museum of Contemporary Native Arts (MoCNA) Program Manager Andrea R. Hanley (Navajo) at (505) 428-5907 or ahanley@iaia.edu.